While the Senate is back to their usual paralysis when it comes to passing comprehensive climate change and clean energy legislation, local communities across America aren't sitting on their laurels waiting for Washington to act. Many localities are initiating renewable energy projects on their own and it is part of the quiet green revolution taking place across this great country. For example, I'm vacationing in Eastern Long Island -- The Hamptons and Montauk -- about 90 miles east of New York City. 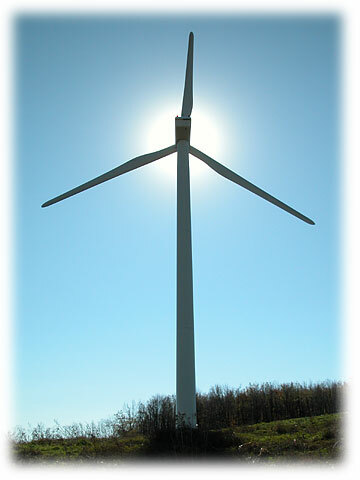 Browsing the local newspapers revealed this headline in The East Hampton Press: "Town Board Backs Turbine in Split Vote." They approved the installation of a 10-kilowatt wind turbine and three Republicans voted in favor of the project! The 120-foot tall turbine with 23-foot blades would be the first of its kind in East Hampton and won out over some residents' concerns over noise and aesthetics. It is estimated it will save the farm it will reside on $2,000 a year in energy costs. These are exactly the types of projects that are being debated by town councils large and small all over America. It is comforting to know that communities aren't waiting for Washington to finally get their act together but are taking the initiative to join the global race for a clean energy future. A Healthy Alternative to Smoking Cigarettes? News Headlines: More Bike Sharing in D.C.
Energy Message Wars Play Out In D.C.
Republicans to Salazar: Drill Baby Drill!